When it comes to qualifying for the best interest rates on everything from an auto loan to a mortgage, just one number most defines you in the eyes of lenders: your credit score. 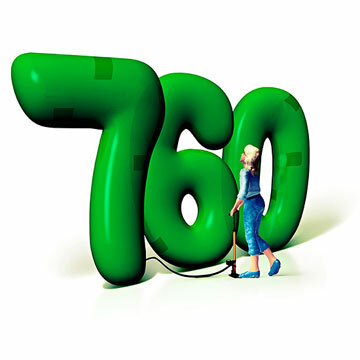 While the average FICO score is 689, you&apos;ll need a 760 to get prime rates. Boost your standing with these simple strategies. A single late credit card payment can ding your credit score by as much as 60 points, warns Gerri Detweiler, director of consumer education for Credit.com. Make sure you have enough money available for your bill by asking your card issuer to shift your due date to after payday. Then set up automatic payments for as many accounts as possible, even if you pay only the minimum. Remember to check every statement for fraudulent charges. The quickest way to increase your number is to decrease your credit utilization ratio — the amount charged on your credit cards versus their total limit. The ideal is between 7% and 10%, says John Ulzheimer, president of consumer education at SmartCredit.com. So if you have a $10,000 limit, aim for charging no more than $1,000 each month. The good news is that there's a loophole: Pay off your balance before the statement closing date (not to be confused with the due date) and the charges won't be reported to the credit bureaus. Or ask for a higher limit but don't increase your charges. It shouldn't be a problem if you max out your Visa now and then — unlike a late payment, high utilization rates don't remain on your credit report once you lower them, says credit expert Barry Paperno. Gain a few points by paying off the credit card whose balance is closest to its limit, says Detweiler. This move will help improve your credit utilization ratio. But don't cancel that plastic once it reaches zero. Doing so will risk lowering your total credit limit and decreasing the "age" of your accounts — another important data point for determining your score. If your score has taken a hit, try raising it by having a parent or relative add you as an authorized user on one of his or her credit cards (as long as it's in good standing). That account will then be added to your report. This tactic can be especially helpful after a divorce, says Paperno. When couples split up, they usually cancel joint credit cards, causing their individual scores to drop. Review your credit report annually. According to a recent Federal Trade Commission study, 26% of consumers found at least one error on theirs. Get a free report at AnnualCreditReport.com, and if you find a mistake, formally dispute it in writing with all three credit bureaus (Equifax, Experian and TransUnion). 30% Amounts owed: This includes your credit utilization ratio. 15% Length of credit history: Lenders prefer it when accounts have been open for many years, so avoid canceling your oldest card. 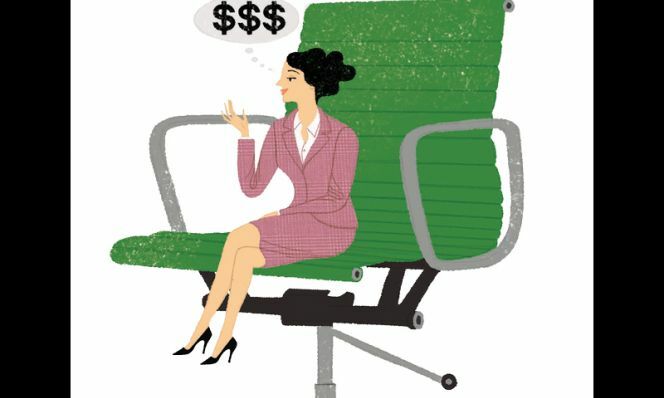 10% New credit: Opening several accounts in a short period can make you appear risky. 10% Types of credit: Lenders prefer to see a variety, such as mortgage, auto loan, credit cards and retail accounts. Originally published in the October 2013 issue of Family Circle magazine.